Boiler installations and maintenance: What benefits HVAC contractors in Mississauga Offer? Owners looking for commercial and domestic boilers come with their own set of expectations and issues. As the fuel cost and the cost of operation keep rising, it is important to buy a boiler that comes with highest efficiency and smoothest performance cycle. What if the boiler you buy is not up to mark or fails to deliver performance? That’s where HVAC contractors Mississauga come handy. Top HVAC contractors are reliable professionals who deliver the following set of benefits to their clients. 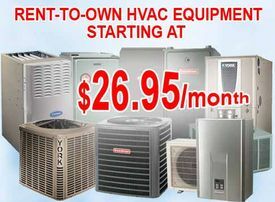 HVAC contractors in Toronto deal in top brands and authentic original spare parts. This makes after-sales services and repairing easy for the rental clients in Toronto and the suburbs. HVAC contractors have the certificate to deal in the boilers as far as installation and ductwork are concerned. At affordable rates, most old boiler owners can replace their outdate HVAC units with a new one or a rental unit on the same day. This is possible by virtue of the authorized dealerships. Most prospective buyers in Toronto have little ideas about the cutting age technology available in the market. The main objective of the HVAC contractors in Toronto is to spread awareness about how buying the latest boiler units and choosing a reliable boiler installation service agency make a huge difference to the output and performance of the unit. Before clients can choose a boiler for their house, the HVAC contractors in Toronto provide ample demonstration and full-scale operation training. It saves the cost of operation later on when the boiler is actually installed at the house. HVAC contractors in Toronto offer extensive installation services. It could be about replacing an old unit or laying a new plan for the latest higher model series. Moreover, the installation services is done in such a way that the operation of the other HVAC units like high efficiency gas furnaces, Air conditioners, small boilers and coolers are not affected. Secondly, the ductwork installation is also done is such way that the water lines and exhaust pipes of the different HVAC units don’t interact with each other. HVAC contactors extend highest commitment to maintenance and good services. The cleaning procedures ensure that every square inch of the boiler is cleaned and checked for faults before the winter season sets in. All cleaning procedures are done as per industrial standard as laid down by the manufacturer. Moreover, the cleaning and maintenance of the boiler rental units is done every 45 days to ensure highest efficiency and sustainability of the HVAC unit. Boilers need proper setting and fine tuning too like air conditioners and furnaces. Setting the thermostat, inspecting the filters and oil change are primary objectives of fine-tuning.